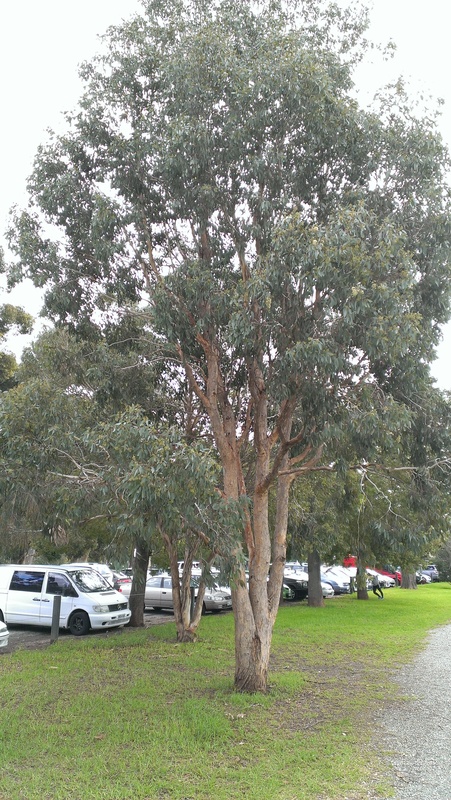 I have seen this Eucalypt before, and dyed with it before. At most, I have had apricot on silk from the leaves. Sadly, I can tell when I am looking at the same species (I think) but have not been able to identify the species. If any reader knows the species, I’d be glad of your advice. 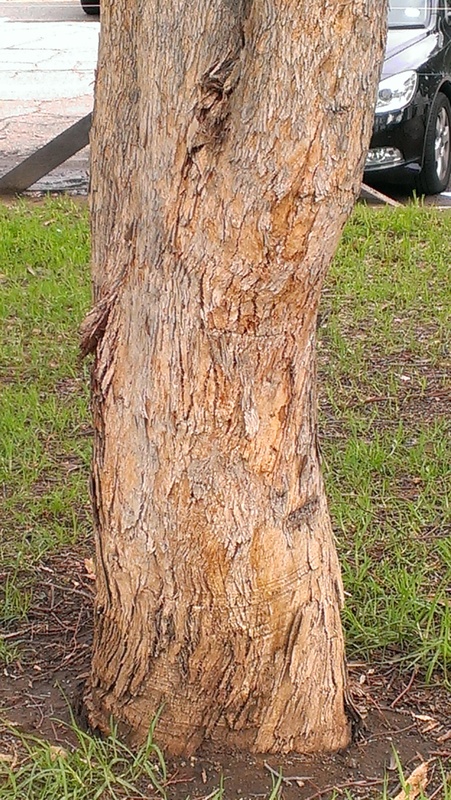 The bark is a lovely rough tan. 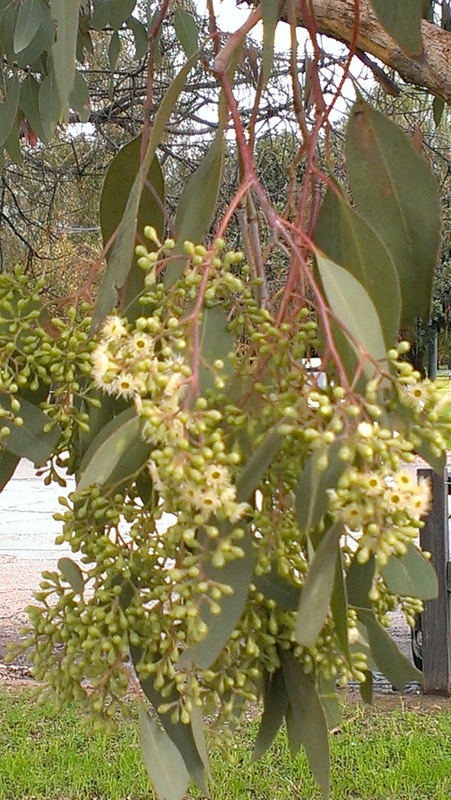 Then I found this one in full bud and beginning to flower, in early June. I decided to try again and got the same result: the leaves barely make a mark, but oh my! The buds! Wow those buds look fantastic! 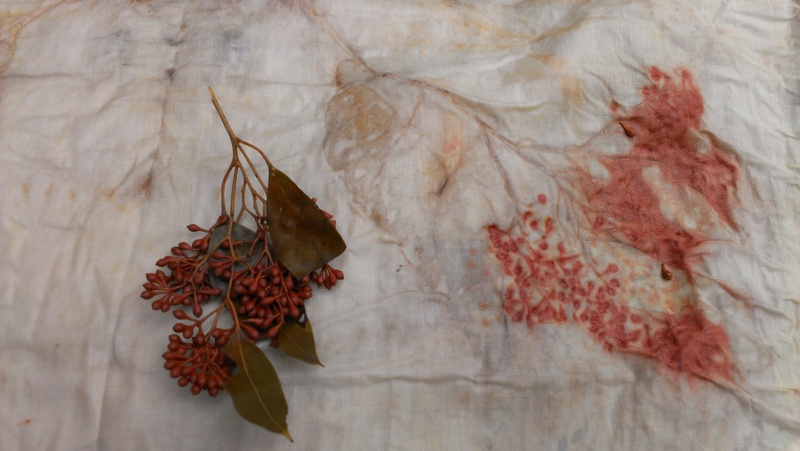 I have always wondered if I should separate the buds and the leaves when I make a dye bath – after seeing this it makes me think I should.